Most people think luxury cars have got to be big, but times are changing fast. In Europe, cars like the Mini Cooper or the Fiat 500, despite their small size, are seen as luxury cars when they are in their top trim level. And it’s a fact that when sitting inside one of those two models, everything looks and feels expensive. Castagna is going one step further. Established in Milano, the coachworks company has done a few original models but Castagna is mostly known for its upmarket conversions. 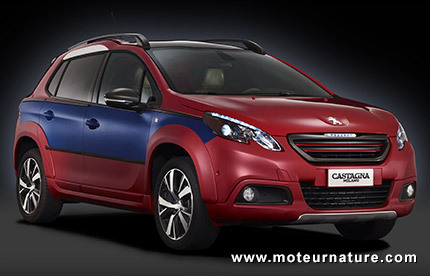 Its latest work is this Peugeot 2008. This is one of the smallest SUV on the market (it’s about nine tenths the size of a Toyota RAV4), and Castagna concentrated all its efforts on the interior. 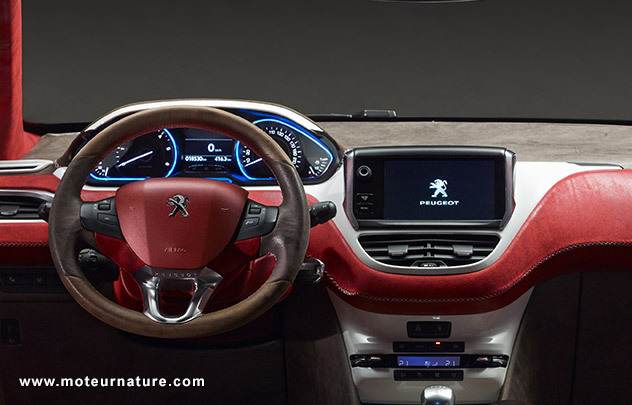 The dashboard use a mix of brown leather and red alcantara, with some trim parts in a shiny white finish. 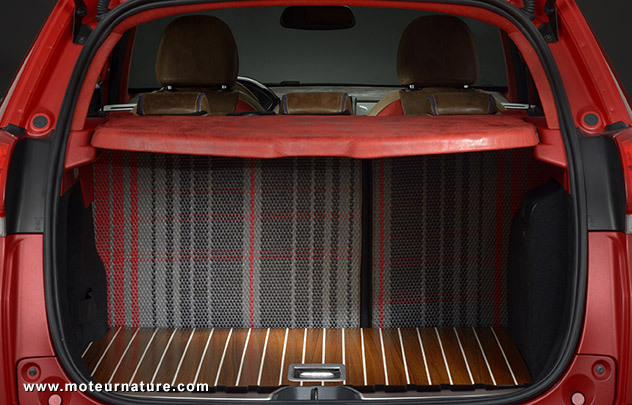 Seats use two materials too, that same brown leather and a striped fabric, while the trunk has a real wooden floor. This isn’t a car for everybody. Some people will see this car as being too much for their taste, but to some enthusiasts of Italian exuberance, this car will be perfect, just like a designer’s handbag, which by the way, would look great on the back seat. Castagna hasn’t changed anything mechanic. The Peugeot 2008 isn’t an EV, nor a hybrid, this is very standard car, with classic ICE technology and average performance, but it gets 40 mpg. It’s reliable and easy to service everywhere in Europe. Don’t laugh, when compared to other cars offering the same level of exclusivity, and luxury, this Peugeot 2008 by Castagna is very green.